Using a MEOW Kettle is by far one of the easiest ways to make Ormus water. 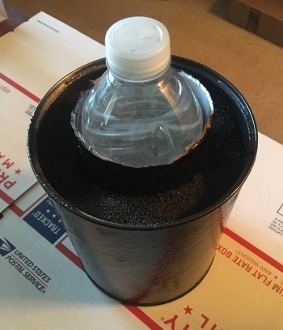 By simply sitting a bottle of water inside the kettle for a period of time, the magnetic sand around it creates a magnetic vortex within which charges up the water. 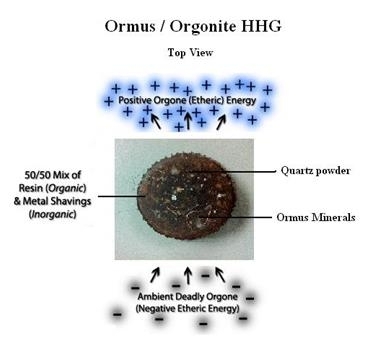 Now I've taken the Magnetic Effect Ormus Water Kettle to the next level by adding resin to the magnetite sand which also creates and accumulates Orgone energy because of the trillions of layers of metalic sand and organic resin. Not only does this make the Kettles umpteen times stronger, it also fixes a problem with the loose sand always which could easily spill and are hard to transport. Now this is one solid unit that you can turn upside down and nothing will fall out like a DQ Blizzard. Also within the resin I added Rose quartz powder, 24k Ormus powder, and Rose water to charge your water with high vibrations. 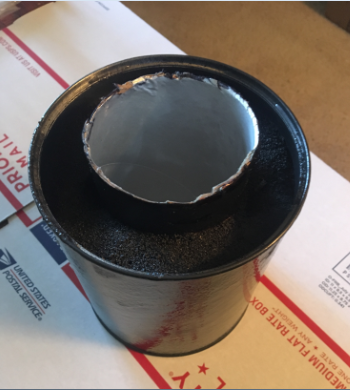 This is about 6 lbs of fine Magnetite Sand in a 5 inches diameter cardboard cylinder that used to be a Gatorade powder container. 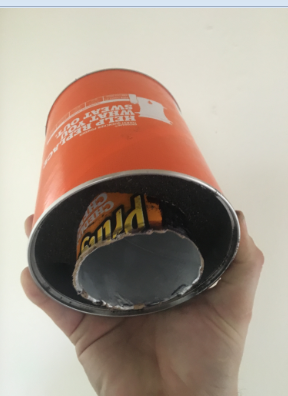 The middle cylinder is 3 inches in diameter that used to be a Pringles can. This will hold a 23.7 oz bottle or the average 16.9 oz. 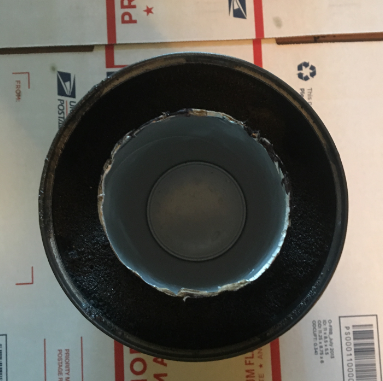 The standard MEOW Kettles take 3-5 days to charge a bottle of water so I'm curious how much more effective this Orgone MEOW kettle is. Others have noticed spring or well water takes a charge the very best. Distilled or Reverse Osmosis or tap water does not seem to be as effective. They have found through extensive testing that anywhere from 3-5 days is the best return for the time to charge your water. They have found that the best results are achieved when the water is as close to the earth as possible. So putting the container on a ground floor is the best but if you do not have that option anywhere that works for you will be fine.